Now it's a party! 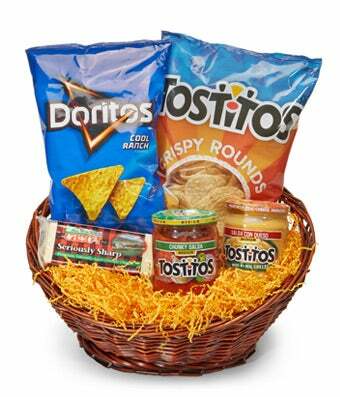 Celebrate good times with the Fiesta Basket. This uniquely fun gift is filled with favorite party snacks that people can huddle around the TV or kitchen table to happily munch on. Who doesn't love nacho chips, salsa and lots of cheese? Send today to add some life to the party! Please note: snack variety may vary.